A state of emergency remains in effect for Fairfax County and Virginia as a result of the severe storms that impacted our area Friday night. 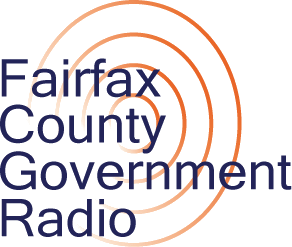 Most Fairfax County government facilities will be closed Wednesday, July 4, for the Independence Day holiday. Holiday schedule listing. View the latest list of closures and delays. 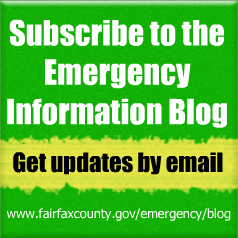 Verizon 9-1-1 service has been restored to Fairfax County. Residents no longer need to call alternate numbers. For non-emergencies call 703-691-2131. Stay away from downed wiresas they may be live with electricity. Do not use candles as they may pose a fire threat. Be sure to operate generators safely. A number of roads (PDF) are still impacted by damage from the storm. The list is updated as information becomes available. Treat intersections with traffic lights that are out or flashing as four-way stops; the driver on the right has the right-of-way. Traffic rules during power outages. For the latest info, call VDOT at 511 or 1-800-FOR-ROAD. Both the I-66 Transfer Station and I-95 Solid Waste Complexes are open for special July 4 hours. The storm may have left a trail of debris on your property. Here’s some information about debris removal to help you get rid of those materials. Many may also have downed trees in and around their yards. Find out more about tree removal and who to contact if you need help. Also, remember to protect yourself during cleanup. There are no water restrictions in place. Has the water advisory been lifted? Yes, the water advisory has been lifted. Despite the continuing heat conditions, most/all FxCo facilities are closed for the holiday. If you can’t stand the heat in your home visit a neighbor, hospital, any house of God, or commercial facility (mall or hotel).